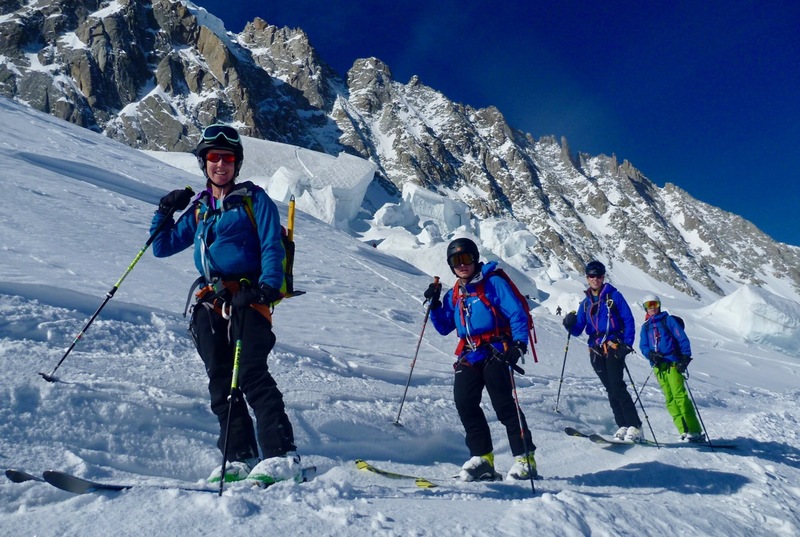 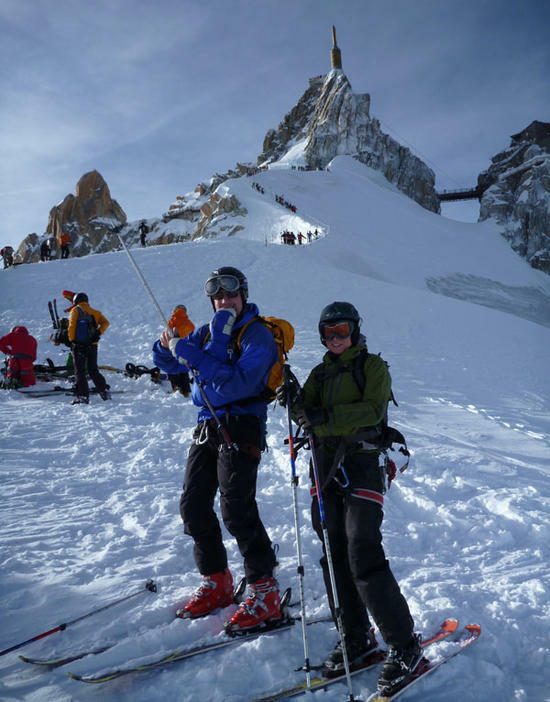 If your ideal Chamonix ski plan or dates are not covered by one of our off-piste and ski touring open courses based in Chamonix then we would be delighted to arrange quality bespoke ski guiding for you. 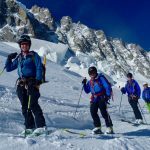 Perhaps you would like to ski the Vallee Blanche or do another specific off piste itinerary or a tour not mentioned here or a training course on different dates e.g. 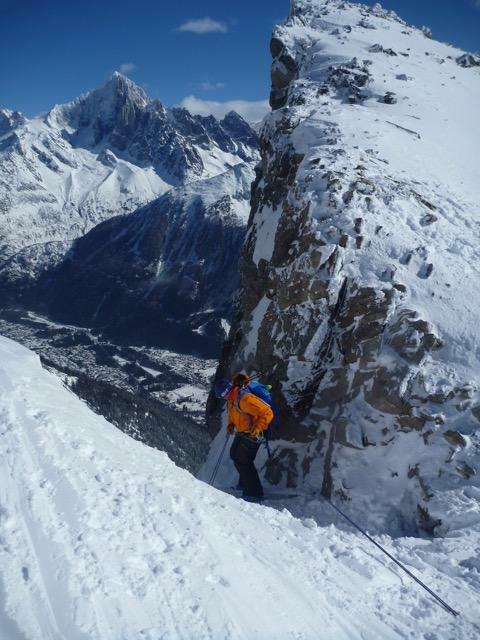 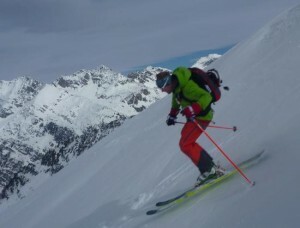 we do lots of Ski Haute Route training days. 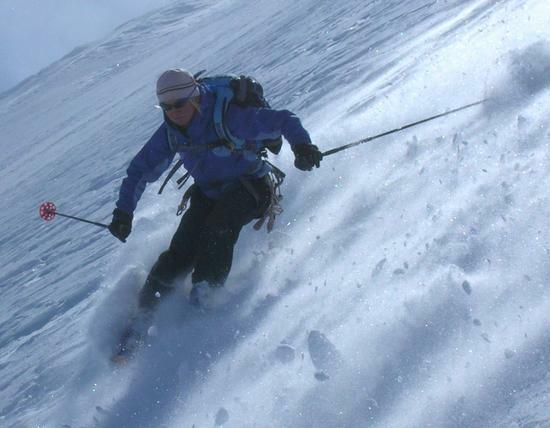 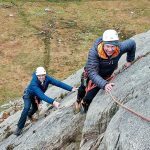 We offer a flexible approach in providing a tailor made programme to suit your aims, experience and the weather and snow conditions at the time. 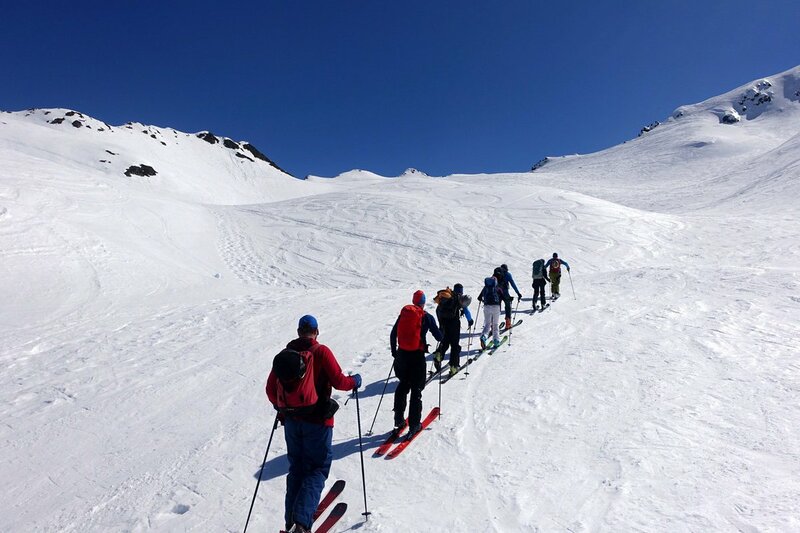 So whatever your ski abillity and whatever style of skiing you would like to do, we can discuss options and plan a suitably inspiring itinerary. From a base camp in Chamonix we can access a massive variety of skiing including the famously high resorts of Les Grands Montets, Aiguille du Midi & Skyway Monte Bianco, as well as the lower and quieter resorts of the Arve Valley (good for poorer weather or powder days when the avalanche risk is too high in the Chamonix Valley). 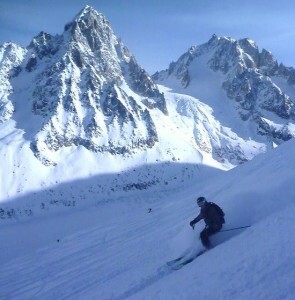 Another great asset of Chamonix is that’s it’s as well as easily driving south through the Mont Blanc tunnel to ski off-piste or tour in the brilliant Italian Valle d’Aoste. 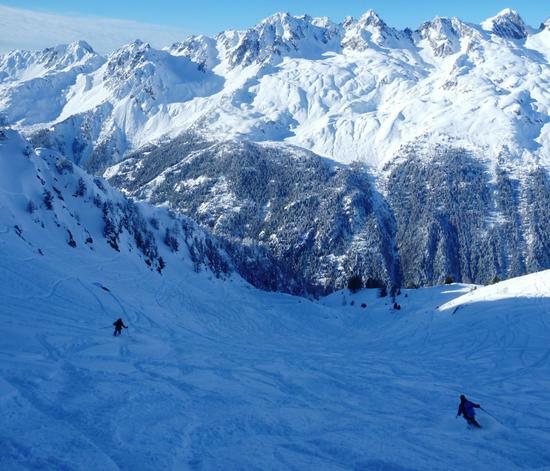 Likewise, a short journey to the east of Chamonix takes us across the Swiss border and in to the world ski mecca of the Rhone Valley and Swiss Alps. 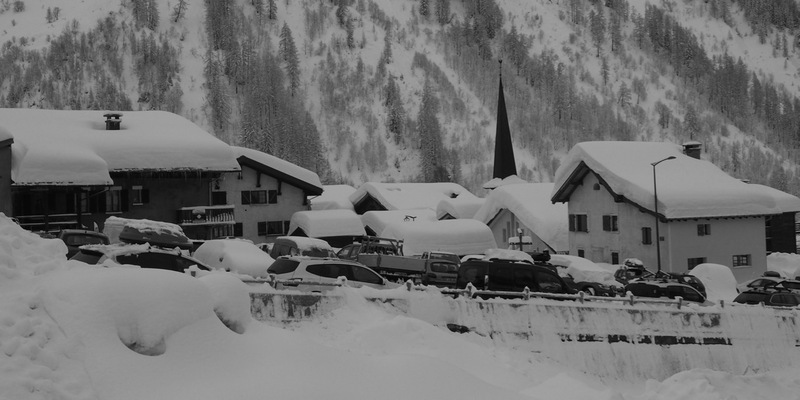 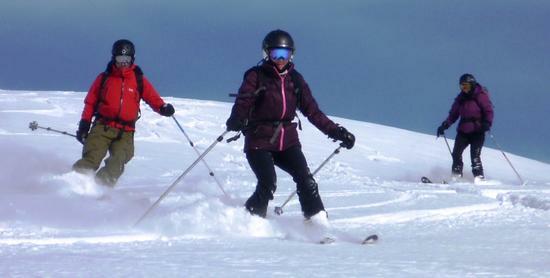 For private ski clients we offer free use of avalanche transceivers, shovels and probes throughout the programme. 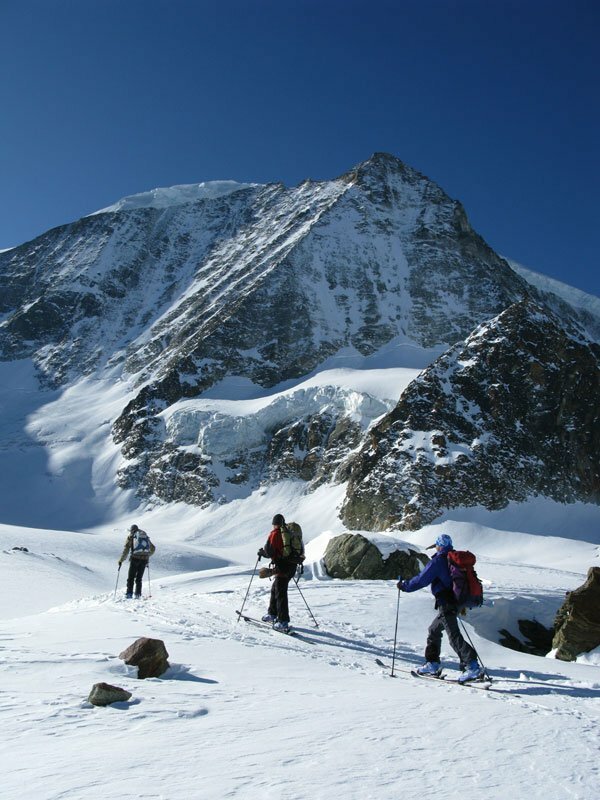 We can also loan any required mountaineering equipment, like harnesses, crampons, ice-axe etc free of charge as and when they are needed. This can offer you a saving of around 40 euros per day. 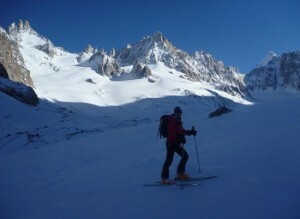 We also offer collection from the door of your Hotel or accommodation in Chamonix. 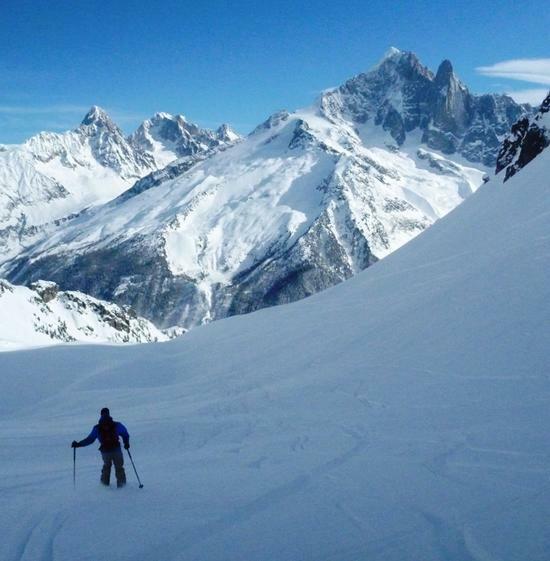 Chamonix is a world mecca for off piste skiing and has an impressive variety of quality skiing at different altitudes and aspects. In good weather and stable snow conditions the high altitude skiing from the massive lifts of the Grands Montets, Aiguille du Midi and Skyway Monte Bianco are simply superb. 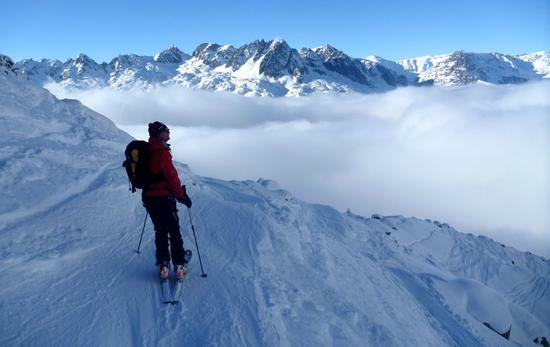 World class in terms of scenery, scale and quality of ski terrain. 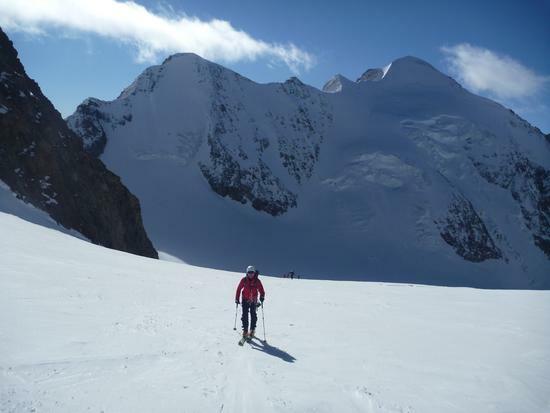 This is where off piste skiing meets ski mountaineering with crevassed glaciers and big mountain country! 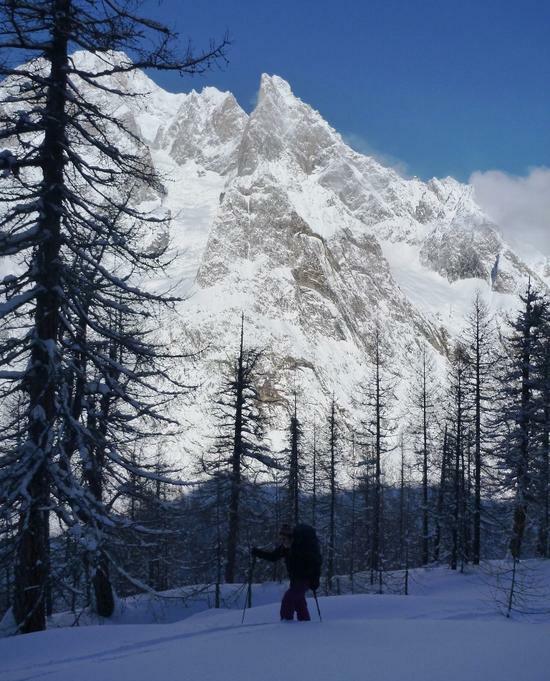 For many skiers, the Grands Montets, along with the Vallee Blanche really is ‘Ski Chamonix’. ‘The Montets’ is world famous for good reason. 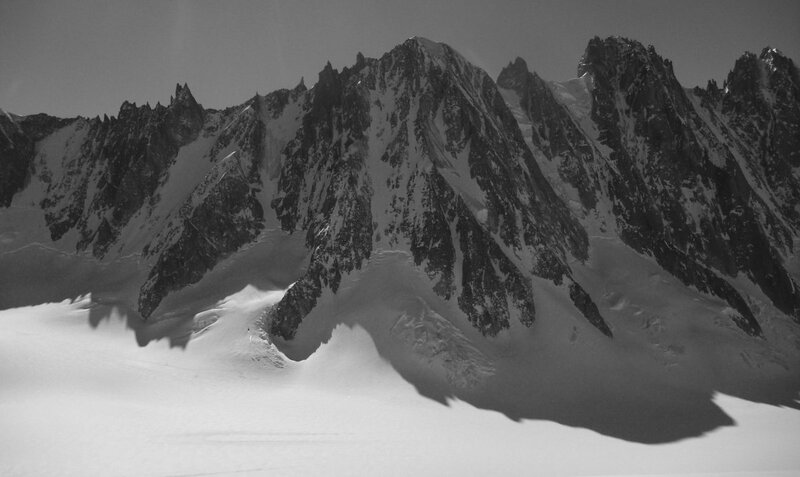 The scale and variety of the terrain. 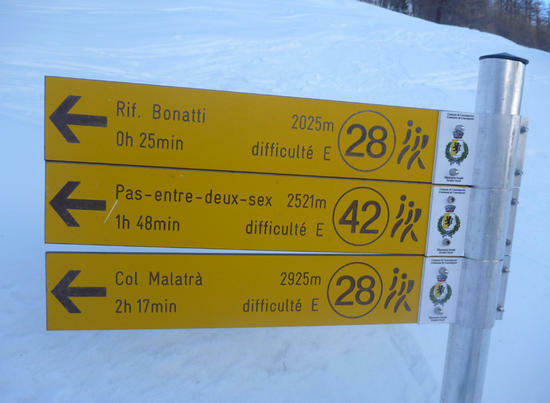 With nearly 2000m vertical drop from the top lift to the car park, on most aspects but mainly north, that, is a lot of skiing! 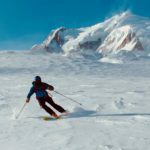 You can ski steep couloirs down on to a glacier and even make your way back to the streets of Chamonix via the tough Pas de Chèvre, ski more mellow side country or one of the many famous intermediate off piste itineraries like the Glacier d’Argetiere. 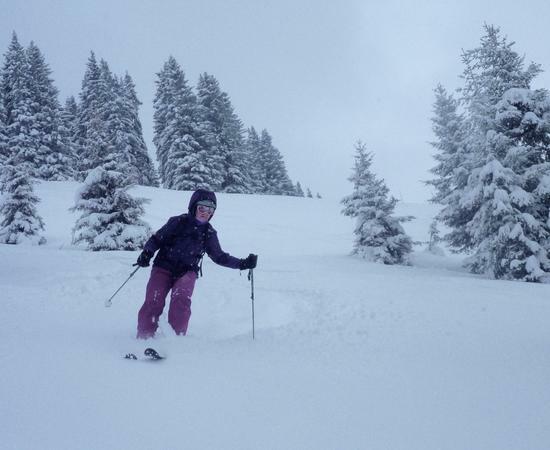 It’s an off piste Mecca which means it can be tricky to find fresh tracks during peak season although the volume of lift accessed terrain means there is usually somewhere quieter to ski and enjoy the powder! 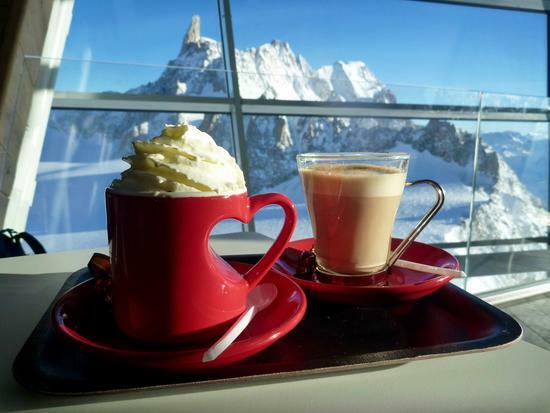 The Aiguille du Midi is no ordinary ski lift! 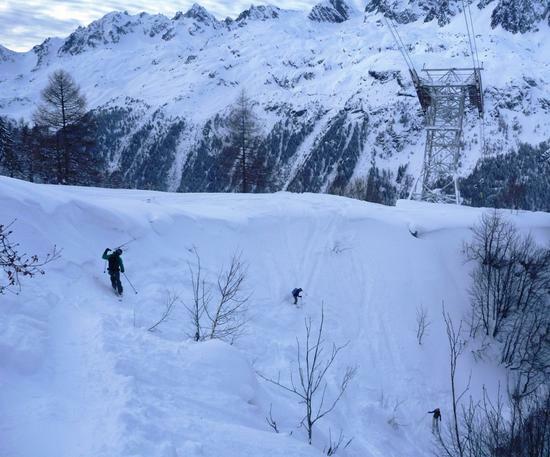 If you were expecting to walk out of the station and pop your skis on, like most lifts, think again! 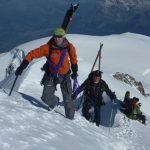 Even when the snow ridge leaving the station is fully equipped, teams will rope up with their mountain guide whilst wearing a harness and sometime crampons. This is where off piste skiing becomes ski mountaineering! Yet, in good conditions and good weather the Vallee Blanche is a wonderful ski journey, accessible to those with reasonable off piste skills and decent fitness. It’s a run to remember and perhaps the most famous off piste itinerary in the world! 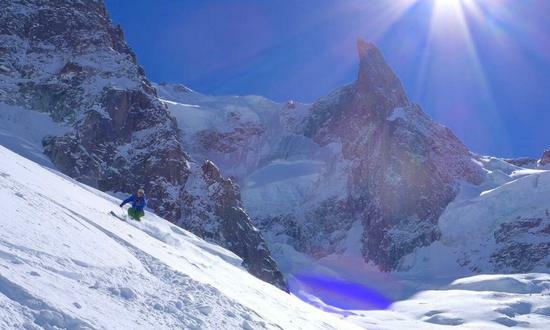 The mid station on the Midi lift, the Plan de l’Aiguille (2310m), also offers access to brilliant ski terrain. Generally this is fairly steep, north facing, like the classic ‘Pre de Rocher’ and can be skied when the weather / avalanche conditions from the Midi mean that glacier skiing is not an option. 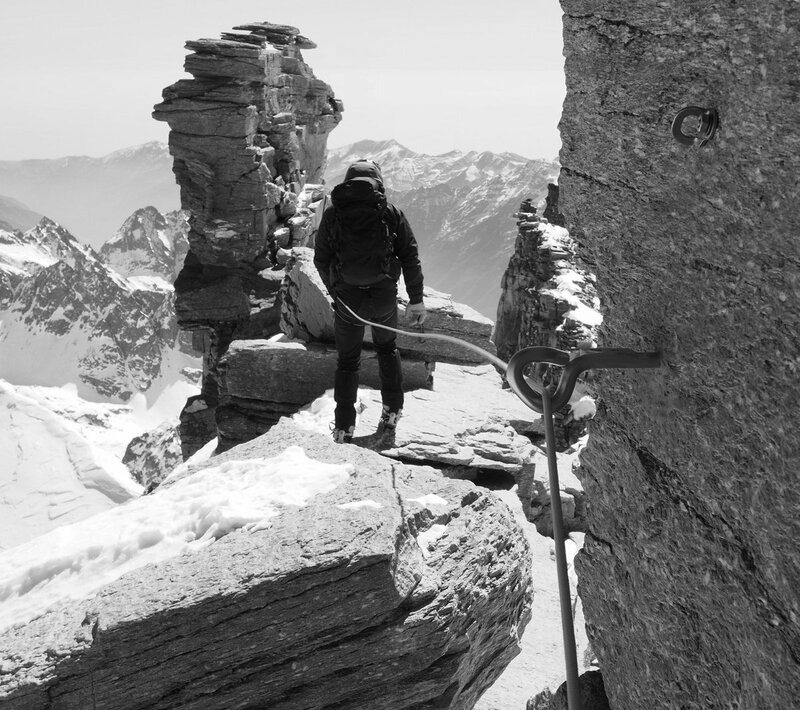 The new Skyway Monte Bianco lift above Courmayeur and accessing the high altitude glaciers on the South side of the Vallee Blanche is a triumph both in terms of the quality of the ski terrain it accesses and the lift and buildings itself. 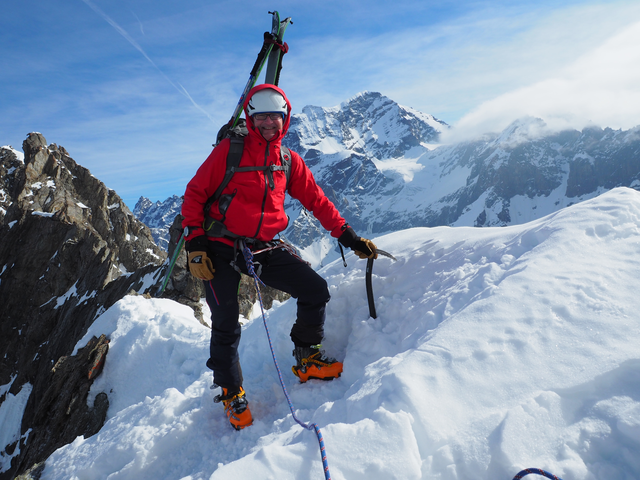 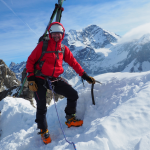 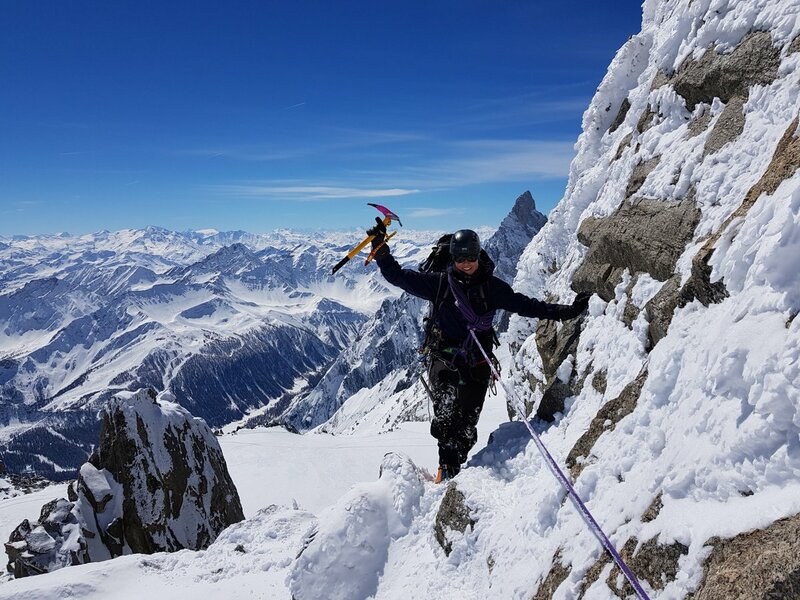 It is a pleasure to use and often offers a quieter, more accessible yet equally spectacular alternative to it’s more famous French counterpart, the Aiguille du Midi. 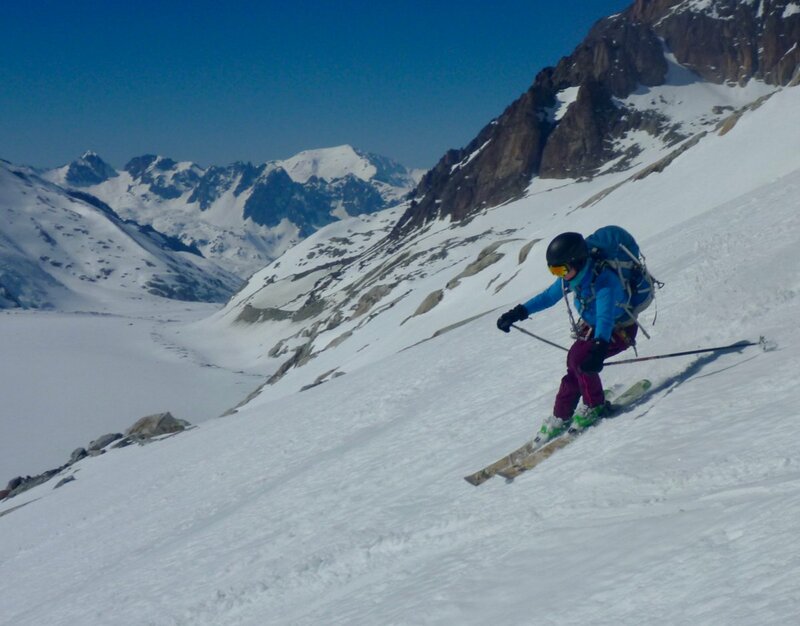 Like the Midi, the Skyway has inspiring off piste options from both the top and mid stations with the latter, (Pavillon 2173m) offering steep south facing, non glaciated runs back down in to either the Val Feret or Val Veny. 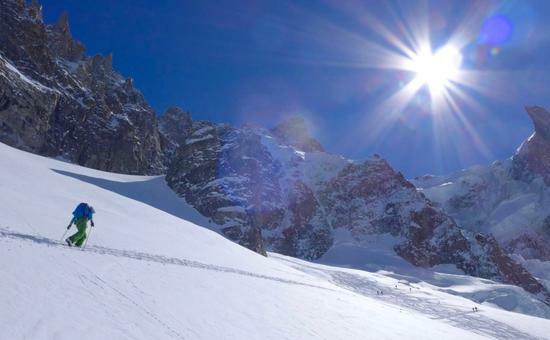 However it’s the summit station which is one of the jewels in the crown of skiing in the Mont Blanc Massif and, from here, it’s possible to ski back down to either Chamonix or Courmayeur. 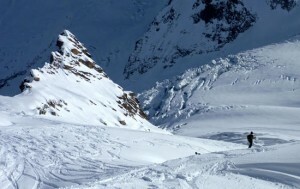 The former via the Italian start to the Vallee Blanche, with numerous variants on this including the normal route, easier than the French side and then the intermediate and steeper variants of the Combe Vierge and Combe Noire. 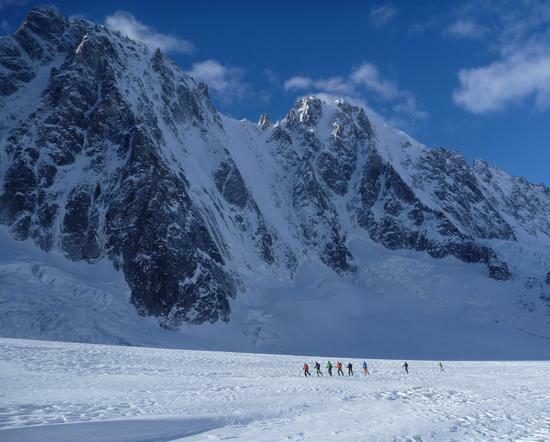 The south facing routes going back in to Italy are all pretty big and serious with the most popular being the Glacier de Toule. 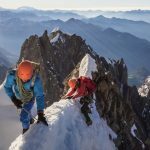 The Brevent and Flegere lifts offer rapid access to the inspiring terrain on the Aiguilles Rouges side of the Chamonix Valley. 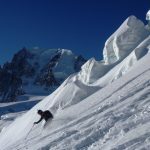 There are some very fine south facing off piste itineraries including the famous steep faces and gullies from the Brevent top station like the Hotel Face and Bellin and Ensa couloirs. 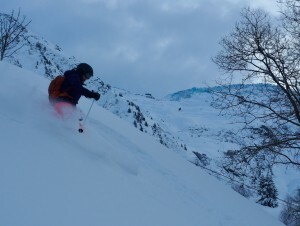 Some great terrain can be accessed from the lifts direct or with a short boot up eg from the Col Cornu chair lift to access the Combe Lachenal and Aiguille Pourrie. 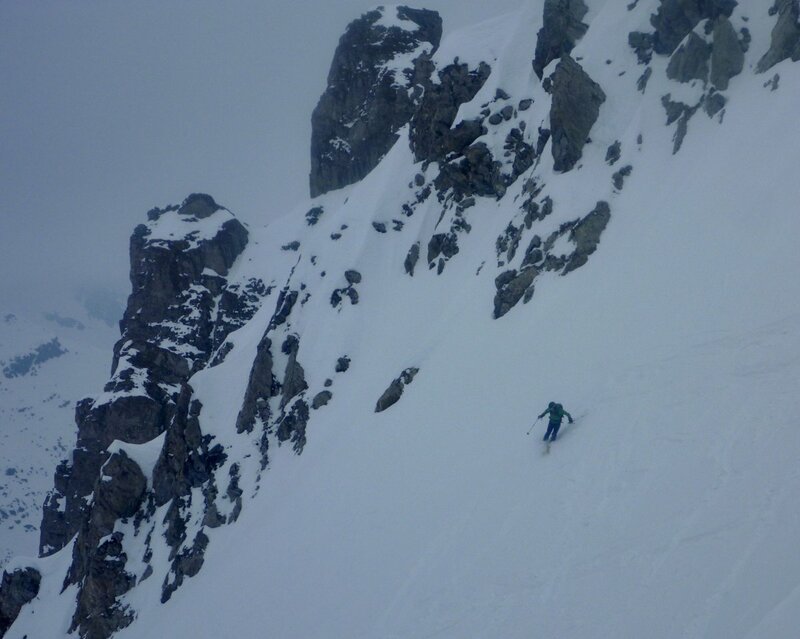 In great mid winter snow conditions there are also some long & sustained descents right down to the valley floor at 1050m. 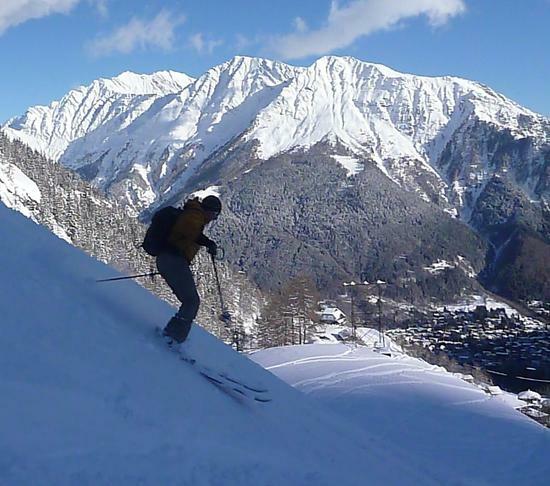 Courmayeur is a brilliant Italian off piste resort with incredibly scenic views of the South Face of Monte Bianco seen from the big and beautiful Val Veny at the head of Val d’Aosta. It’s famous for the quality of its skiing as well as obviously the great cafés and restaurants! The off piste potential is high with a great variety including steep tree lines in the Val Veny, more mellow Larch forests around the Plan de la Gabba and steeper open slopes and couloirs from the higher Youla and Arp lifts. 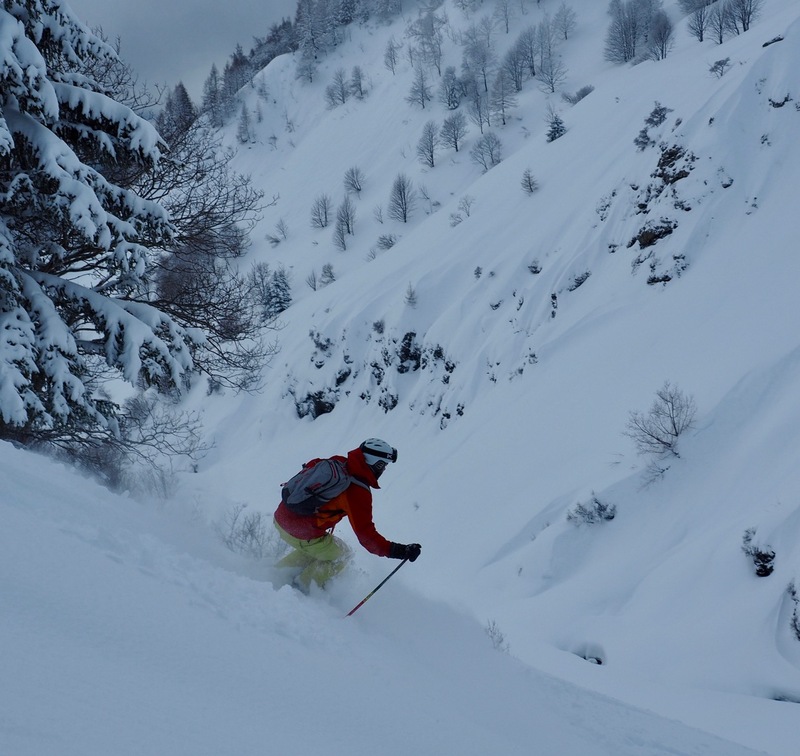 There is lots of big terrain so very enjoyable, yet committing journeys can be made from these upper lifts – and skiing back in to the lower resort – but going deep in to the backcountry in-between! ‘Le Tour’ or the ‘Balme’ Ski Area nestles in the narrow eastern end of the Chamonix Valley and is linked with Vallorcine by pistes and lifts and the Swiss village of Trient via off piste itineraries. It’s a superb lower altitude resort which combines fine tree skiing in its lower half with some inspiring open slopes and couloirs higher up. So it’s a good option for a varied weather days where both parts of the resort can be used. 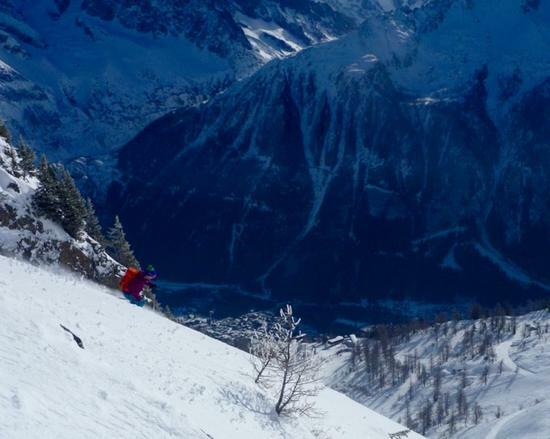 With a small bit of booting up, towards the Tete de Balme for example, there are some inspiring steep couloirs running down the north side of Aiguille du Van down towards Trient. 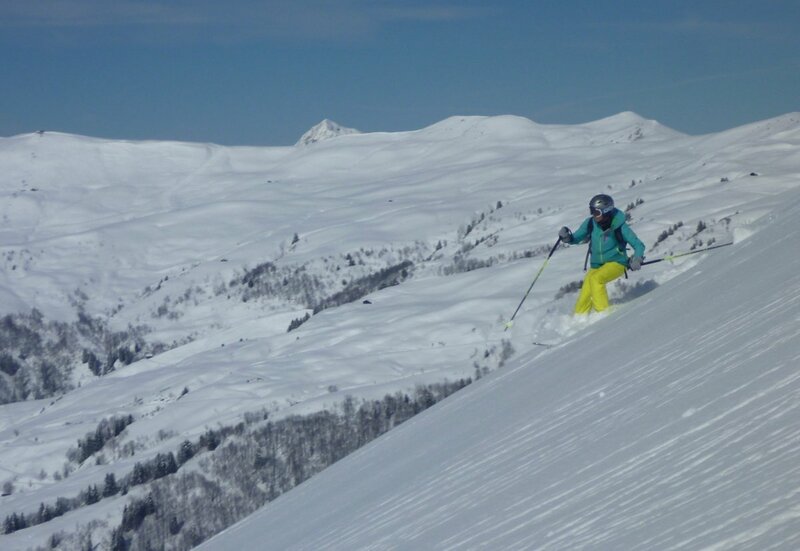 When the snow is stable, the famous ‘back bowls’, also accessible from the Tete de Balme, provide further brilliant off piste itineraries which can be done from lift to lift yet offer journeys in to serious back country terrain. Les Houches offers an interesting contrast to most of the rest of the Chamonix Valley…it’s much more mellow! 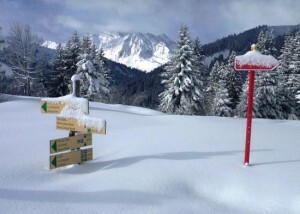 It’s not uncommon on heavy snow days, for the rest of the valley to be shut due to avalanche risk, and for Les Houches to be fully open. 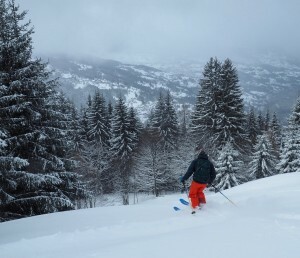 Thus if you suspect lift closures or late opening at the higher and steeper resorts, it’s worth making a bee-line for Les Houches to get some fresh tracks from the first lifts. 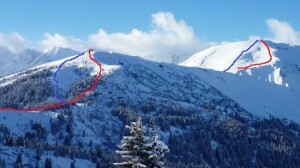 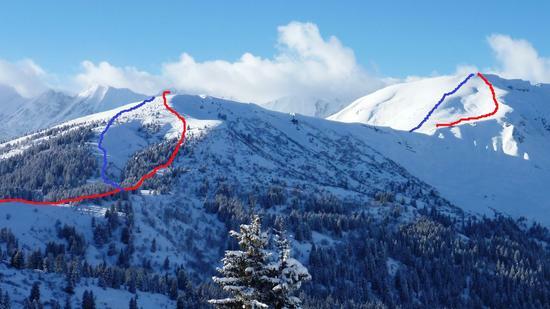 There are some good easier off piste runs, generally in or around the tree line but also some fine more adventurous runs on the East Face of the Prarion and, for those with skins / don’t mind walking, down steep south facing slopes in to the attractive Bionnassay Valley. 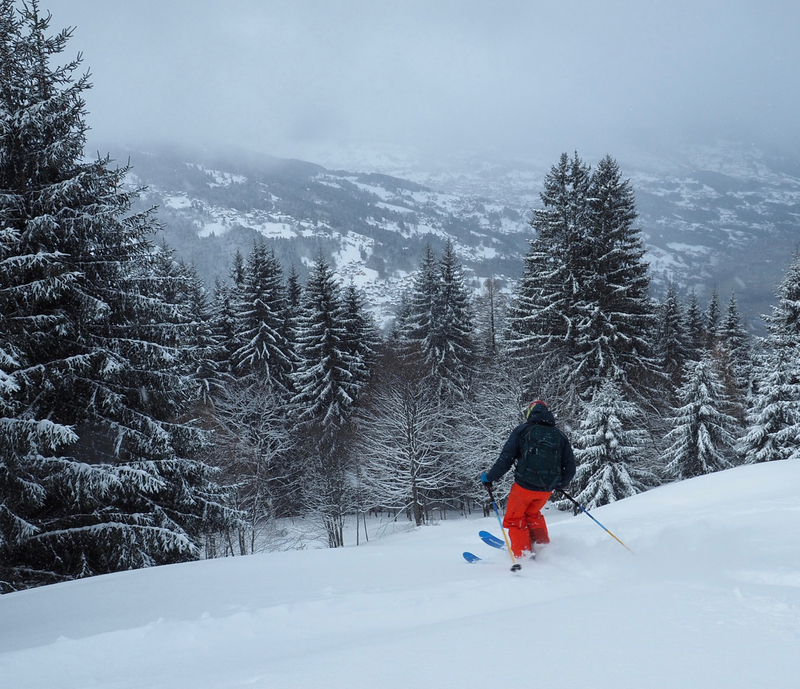 In a similar vein to Les Houches, St. Gervais, Megeve, Combloux and much of the brilliant Ski Evasion areas will often be open on the heavy snow days which close the Chamonix Valley due to avalanche risk and bad weather. Thus some great fun powder runs and fresh tracks can be had in the trees here where most of the lifts will still be open. 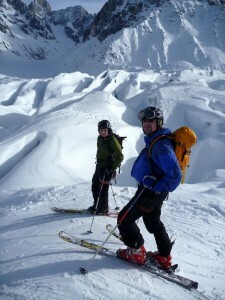 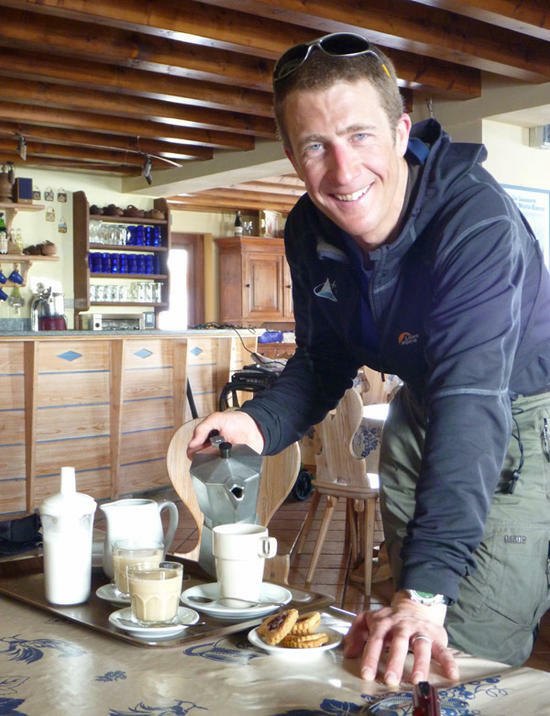 However, this is not to say there is not also inspiring big terrain and adventurous off piste itineraries to be done. 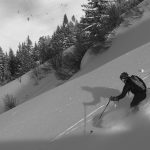 Steep & sustained lines can be skied off the top lifts at St. Gervais on the West Face of Mont Joly and make an interesting ski safari journey down towards the Altiport Valley at Megeve. It’s a big area with lots of different lifts, areas, side country, brilliant off piste skiing. 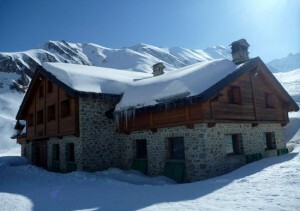 There is also an interesting variety of ski restaurants from the Val d’Isere / Megeve style ‘Folie Doux’ to the rustic old mountain huts on the St. Nicholas de Veroce side of the area. 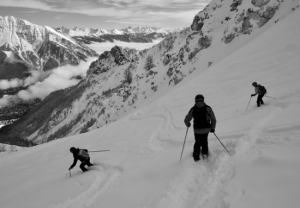 Away day ski touring in the Contamines Valley with lots of good terrain covered using kick turns, ski crampons and some fine skiing. 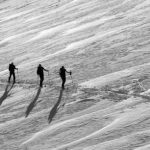 As well as being an off piste and ski mountaineering mecca, Chamonix offers great terrain to those wanting to venture further in to the back country and enjoy some quality ski touring. 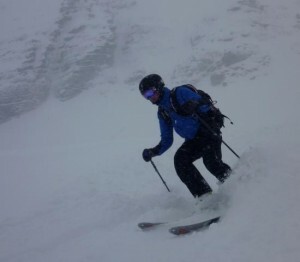 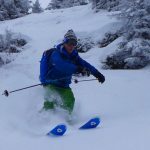 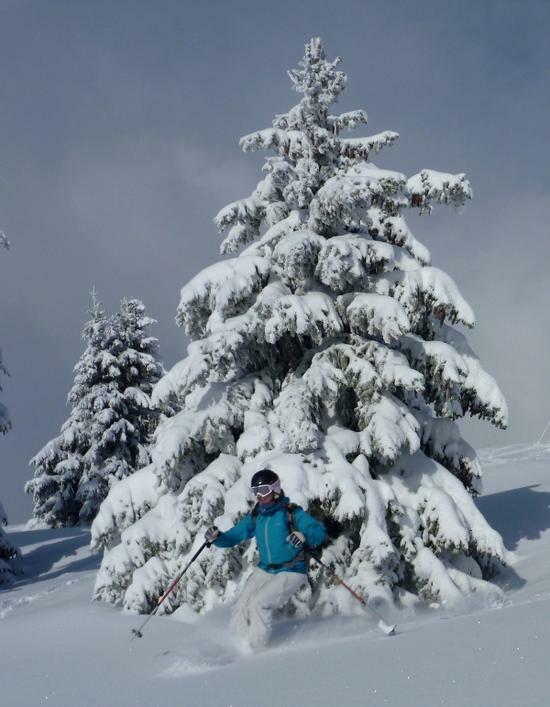 We run private guiding and training itineraries from intro to advanced, although you will already need reasonable off piste skiing skills and decent fitness to make the most of the course. The terrain options are impressive and can be adapted to your aims, experience and the weather and snow conditions at the time but include mellow powder touring in the meadows of Les Houches, Le Tour and the Ski Evasion area right through to high alpine glacier itineraries. 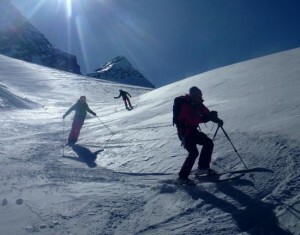 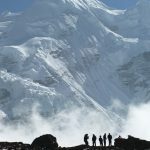 Often this can provide technically easy touring terrain also, due to the easy angled glaciers, but of course mountaineering skills are required for the glacier element and this can all be covered during some great ski journeys. 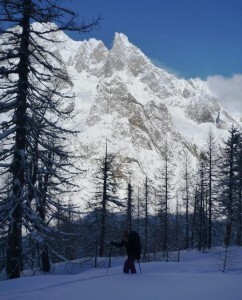 Chamonix is also a great base camp for exploring the nearby Italian Val d’Aosta, which again has an impressive range of touring options like up the Val Feret and on some of the great ski hills on the South side of the valley and Paradiso National Park. 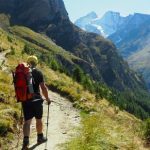 Both day trips and overnight hut journeys can be done and a really inspiring and creative programme can be made by mixing these 2 elements to create a varied week of touring which allows for some warm up and training before committing to a longer route. 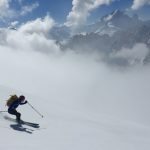 This also means that a suitable area can be selected according to aims, experience and prevailing snow conditions and then hut bookings made at the time. 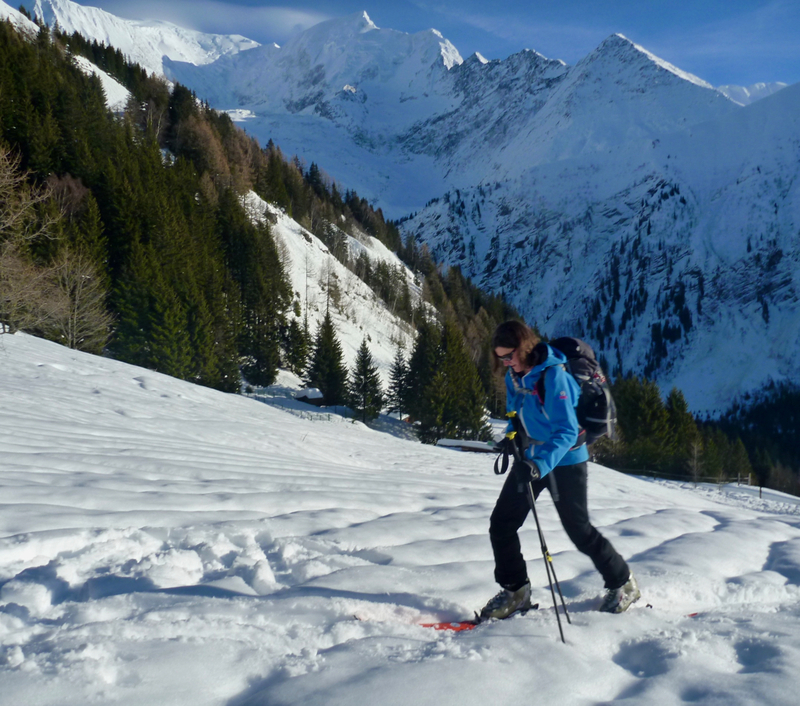 This gives greater flexibility than committing to a longer hut to hut tour, which whilst offering a fine journey, is often subject to change due to weather / snow / guest factors. 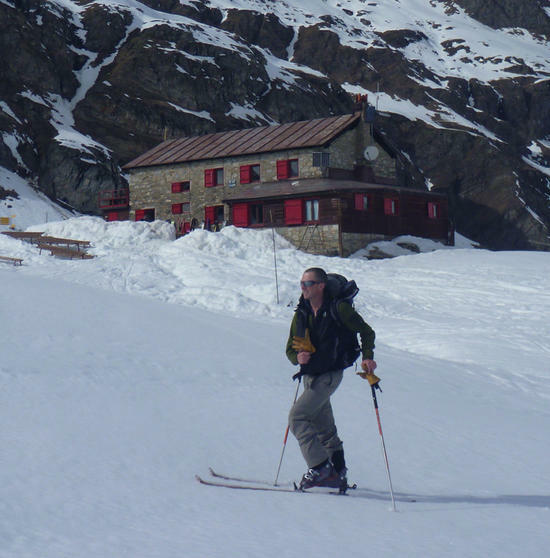 There are some great hut based touring options also on the Swiss side of the Mont Blanc range and the famous Monastery at Grand St. Bernard provides an interesting base camp surrounded by some great ski terrain! 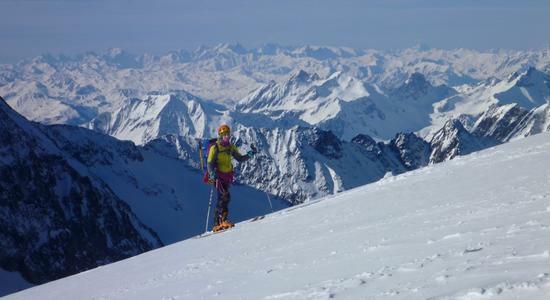 Ski mountaineering with skis on pack and crampons on ski boots. 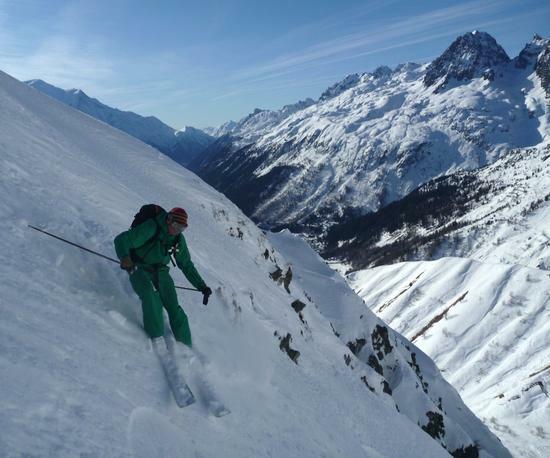 Crossing the steep col on the ascent of Mont Velan with the Grand Combin beyond. Ski Mountaineering combines a number of different mountain skills to create elegant high alpine journeys, often through steep and glaciated terrain and usually in spring. 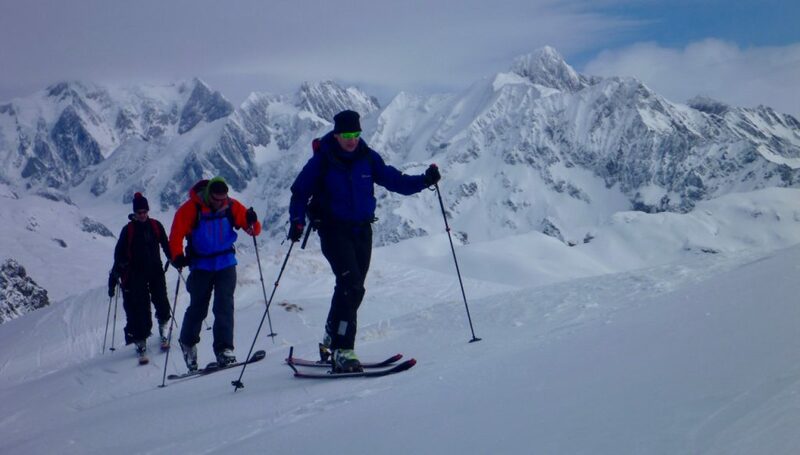 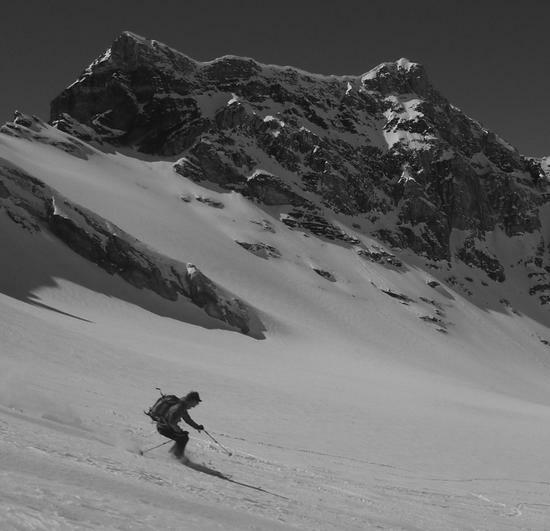 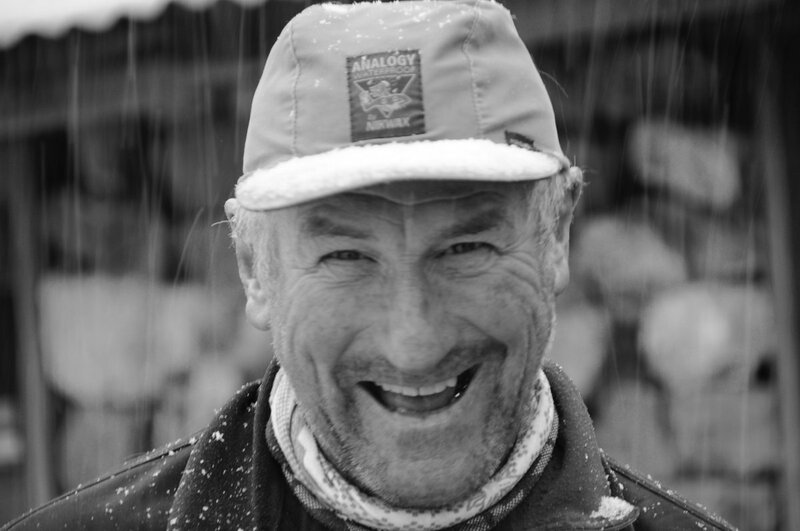 It’s an inspiring and rewarding activity but does require strong off piste skiing skills, good fitness, some mountaineering experience and existing ski touring skills. 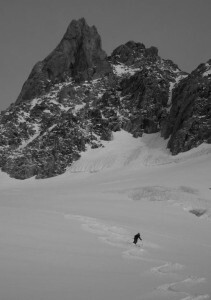 When these all come together as part of a high mountain day, it’s often a brilliant and memorable experience. 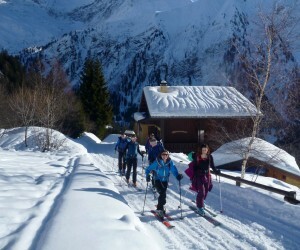 Chamonix’s high mountain ski lift system means that classic ski mountaineering days can be done as day trips from the lifts, or there is an impressive variety of mountain huts to offer an overnight base camp to extend the tour and allow an early start to be made to capture the best conditions. 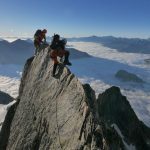 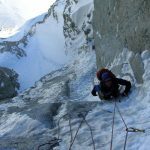 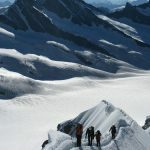 Classic day tours include high altitude cols above the Glacier d’Argentiere, the Vallee Blanche and some of the excellent technical middle mountain cols in the Aiguilles Rouges. 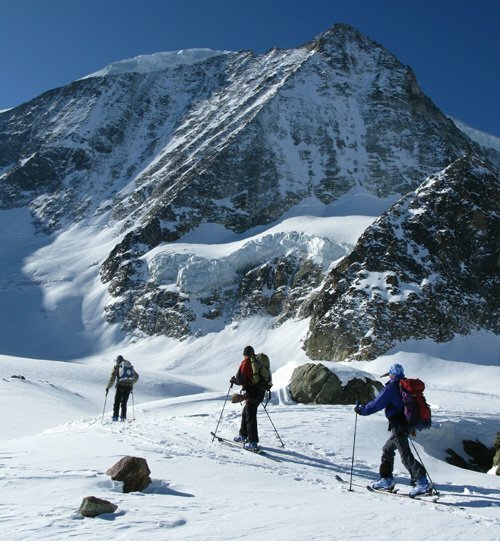 Longer high level journeys can be completed by using the extensive network of mountain huts, either for a single overnight base camp or as an extended tour as in the case of the famous Chamonix – Zermatt High Level Route. 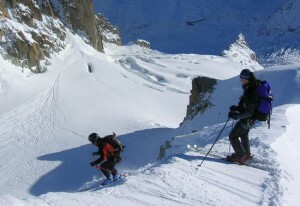 The Haute Route! There are also many less well known hut to hut tours than the Haute Route. 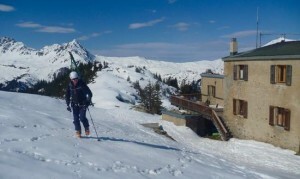 They are often equally as good, sometimes with much better skiing and much quieter huts! 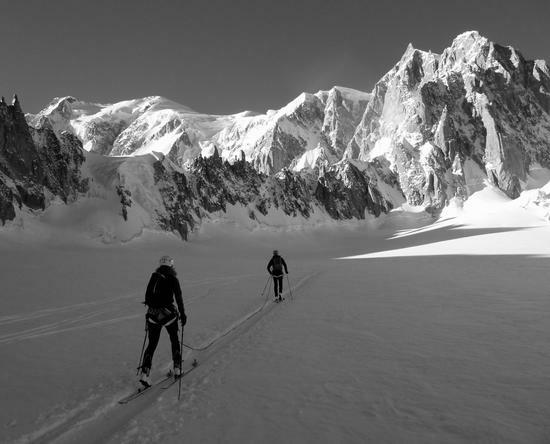 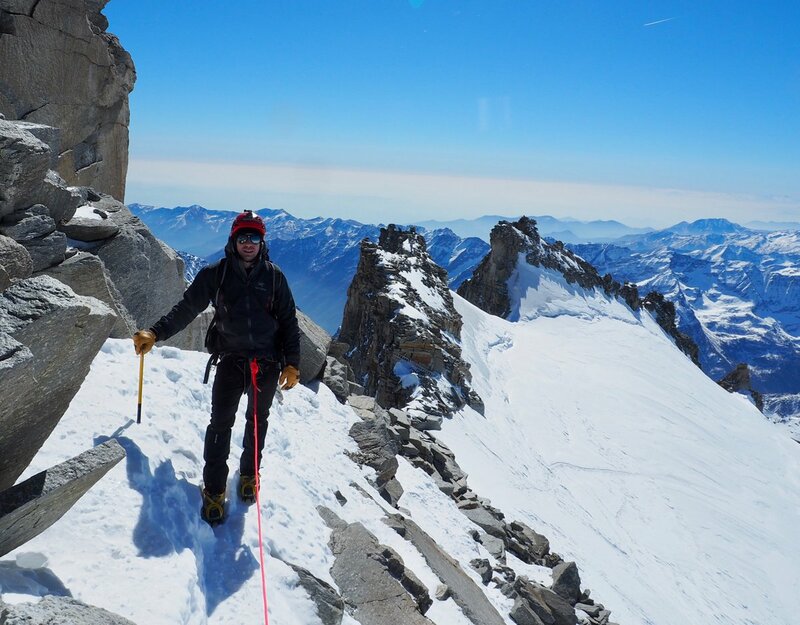 As well as the brilliant touring areas in and around the Mont Blanc Massif there are also classic touring areas such as the Gran Paradiso National Park, Monte Rosa, West & East Oberland and Vanoise which are accessible from Chamonix as part of a brilliant week of ski mountaineering. 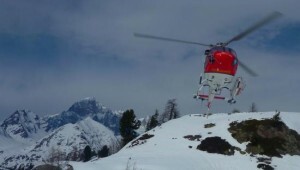 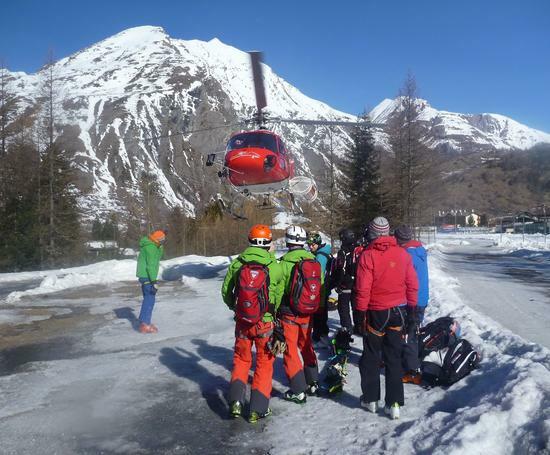 Heli-skiing at La Thuile, in the Italian Val d’Aosta and easily accessed from Chamonix. 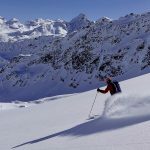 Whilst heli skiing is actually not allowed in France, as there is enough ski infra-structure already, those based in Chamonix who want some exciting heli powered uplift have some accessible and inspiring options. Just through the Mont Blanc tunnel there is the Val Veny, Courmayeur heli-ski company which offer lifts along the Val Veny including high altitude drops on Mont Blanc and the sustained glaciated south facing slopes above the Val Veny as well as the steep north facing powder runs from Mont Fortin. From the latter it’s possible to ski down the Val Veny tracks and back in to the Courmayeur lift system. 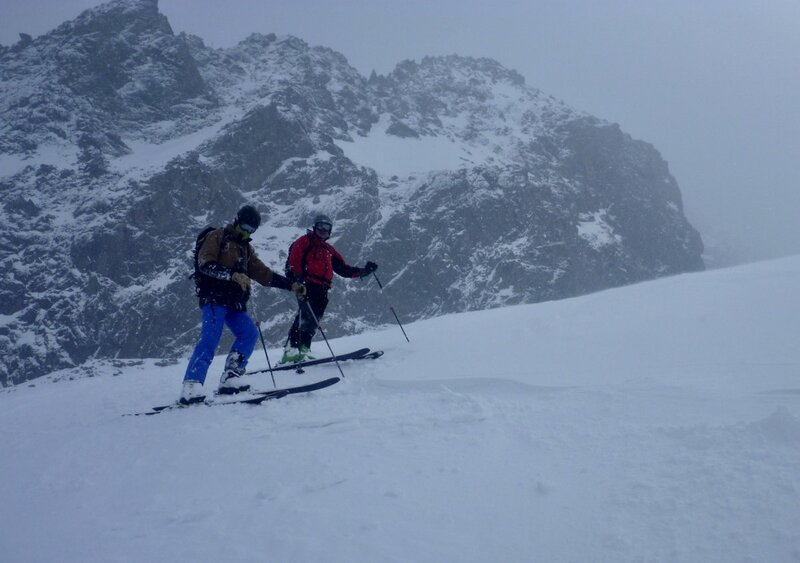 Further down Val d’Aosta, La Thuile again provides a brilliant mix of heli and lift accessed terrain and it’s possible to have a great day combining the two with drops near the summits of Testa du Rutor (3468m) & Mount Freduaz (2835m). From both drops it’s possible to do some ‘heli-touring’ eg towards Mont Valezan and up a remote side valley of the Rutor Glacier. 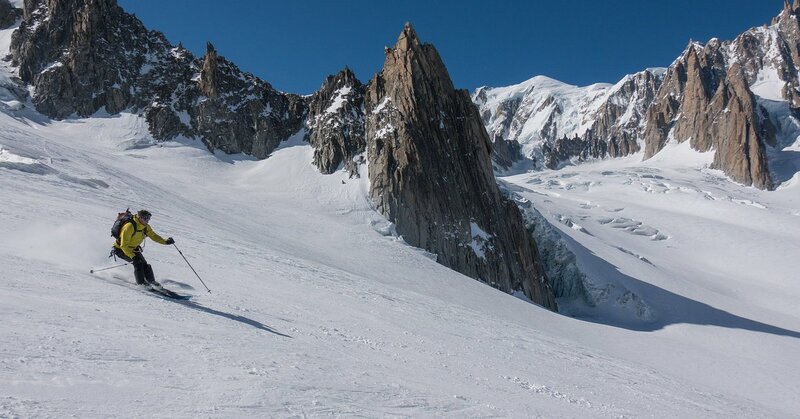 Over on the eastern Swiss side of the Mont Blanc range there are also good heli ski options accessing the high glacier country above Trient and Verbier etc. Please also check out our Chamonix ski photo galleries, videos, off piste ski kit lists for further info and inspiration. 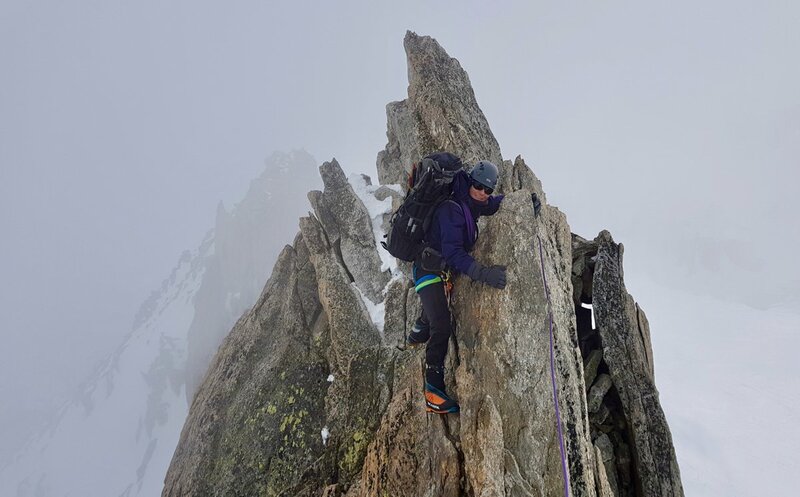 Contact us via the form at the base of this page for more details and to discuss dates or go ahead and book your private guiding here.